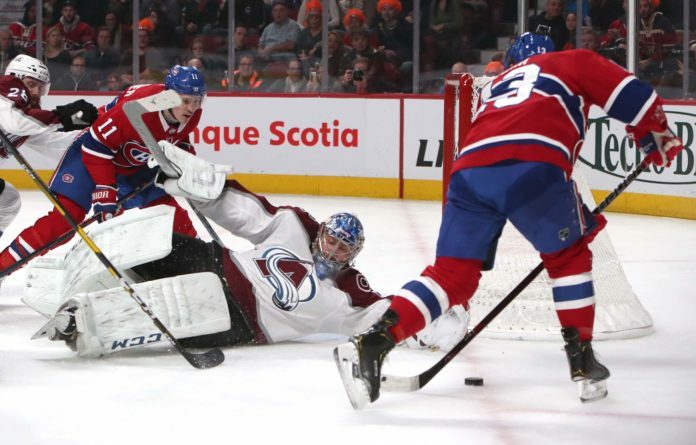 The Colorado Avalanche fell to the Montreal Canadiens, 3-0 Saturday night. The Avs are now 1-9 in its last 10 contests. The Avs were out-coached on the power play and it was not even close. 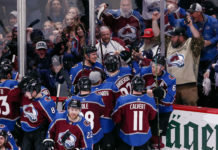 Montreal knew what Colorado wanted to do on the power play breakout and the Avs simply could not adjust. MacKinnon turned the puck over for a near goal just seconds before Montreal scored the game-winning goal while shorthanded. Mark Barberio made his return to the lineup after missing 19 games with a mysterious upper body injury, but was on the ice for a whopping 28 shot attempts against in only 12:46 of even strength time. That’s not ideal. Semyon Varlamov bounced back from a brutal performance in Calgary with a strong game, but I’m not sure he’s going to like that first goal. The screen was up high and it was flat along the ice and he just didn’t track it. Other than that, this is hopefully a game that can stabilize the goaltending. It might seem like minor issue, but the Avs have a big problem on the fourth line: They don’t have a center. That leads to the line providing absolutely no value at either end of the ice. The injury to Vladislav Kamenev has kind of hurt the team more than you would have expected. A fourth line isn’t the be all end all, but if you don’t have anyone who can play the center position properly than you can’t trust them and end up over extending your other lines. 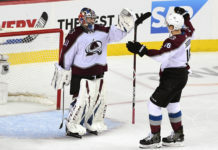 The last few games, the Avs deserved a better fate. I don’t believe that was the case tonight. Montreal controlled nearly 61% of the shot attempts in the game and while the Avs had a few chances, a lot of their shots came from the outside. Claude Julien probably loved the game his team played, as that’s the type of game he’s coached his team through for years. 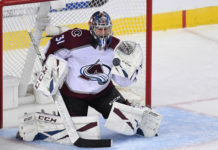 The Colorado Avalanche now head to Toronto to take on the Maple Leafs. The game starts at 5 PM MST on Monday.